This year, IDA honors Buddy Squires with the 2007 Outstanding Documentary Achievement in Cinematography Award, which is sponsored by Kodak. Squires was a bit surprised because his career is still a work-in-progress. He was even more surprised upon learning that he is only the second cinematographer to receive this recognition in the 23-year history of the IDA Awards (Joan Churchill was the first, in 2005). Documentaries are generally the director’s vision, but the audience sees them through the eyes of the cinematographer. In 1993, Squires collaborated with director Mickey Lemle on Compassion in Exile: The Life of the 14th Dalai Lama for PBS. They were in India with the Dalai Lama while he was welcoming a group of nuns and children who had hiked a treacherous Himalayan mountain trail to escape from Tibet when it was occupied by the Chinese army. Squires has earned some 80 documentary cinematography credits since the Oscar-nominated Brooklyn Bridge in 1981—the first of his 20 co-ventures with Ken Burns. 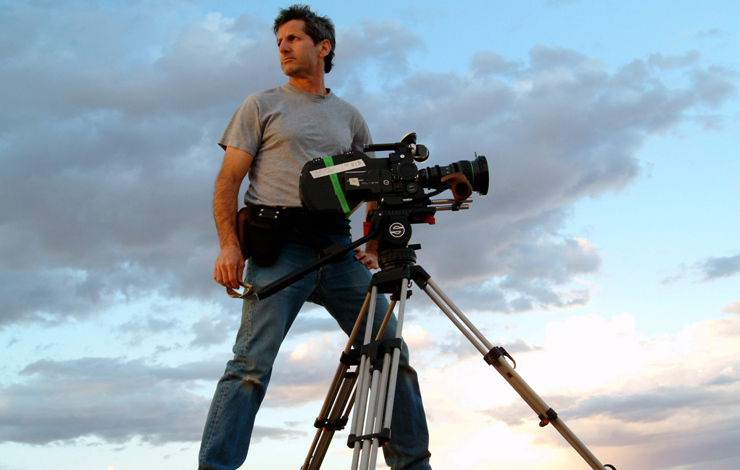 His peers have nominated Squires for eight Emmy Awards for cinematography. He shared top honors with several other cinematographers in 1998 for the National Geographic Television special America’s Endangered Species: Don’t Say Good-Bye. Director Robert Kenner and executive producer Nicolas Noxon won an IDA Award for that film. Those statistics are just part of a much larger picture. Documentaries lensed by Squires have earned 18 Emmy and eight Oscar nominations in other categories. That isn’t a coincidence, because an accurate description of documentaries without images is radio. An arbitrary short list of his credits includes such diverse and memorable projects as The Civil War, Baseball, Scottsboro: An American Tragedy, Mark Twain, Heart of a Child, The Donner Party, Unforgivable Blackness: The Rise and Fall of Jack Johnson and Jazz. Squires also collaborated with Burns and Lynn Novick while filming their interviews with some 50 people sharing 60-year-old painful memories in last fall’s The War. Most of the interviews were done in people’s homes because the subjects felt most at ease there. Squires would arrive a little early to establish rapport and to find the right settings. The interviews were recorded on Super-16mm film, “because film feels organic and that set the right mood for the stories they were telling,” Squires observes. He would carry minimal equipment—an Aaton PROD camera, a few zoom lenses and a couple of small lights into people’s homes—and he’d make intuitive decisions to slightly under- or over-expose the film just enough to create the right textures for the moods. Squires has shot diverse documentaries in faraway places. In 1990, he went to Africa with Karen Goodman and Kirk Simon, who worked with Jane Goodall on Chimps: So Like Us. That film earned both Oscar and Emmy nominations for the co-directors. Earlier this year, Squires went to China with co-directors Bill Guttentag and Dan Sturman to film scenes for Nanking, a documentary recounting the slaughter of 200,000 civilians when the Japanese army invaded Nanking, and the heroic efforts to save others. “Buddy has an amazing sixth sense for anticipating magic moments and getting them on film with exactly the right composition,” says John Dowdell, who has witnessed the evolution of Squires’ cinematography from a unique perspective. As senior colorist at Goldcrest Post New York, Dowdell has been the telecine operator on more than 20 films shot by Squires, dating back to Brooklyn Bridge. Looking back on that experience some 40 years later, Squires remembers that he was a “pretty good” writer, but it felt more natural for him to show his teacher and classmates what he saw and felt on film. That was his first step on a lifelong journey. Squires enrolled at HampshireCollege in Amherst, Massachusetts, during the fall of 1974. His mentors included Jerry Liebling, a still photographer whom he credits with teaching him that images can tell stories, which evoke emotional responses. Liebling taught Squires to use the camera to probe beneath the surface of reality. His fellow students included Burns and Roger Sherman, who invited Squires to join them in organizing Florentine Films while he was still a student. They started out doing crew work for BBC and other foreign TV networks, and shooting industrial films. Burns was doing his own cinematography, but he asked Squires to step into that role soon after they began working on Brooklyn Bridge. Burns explains that he discovered it was important to stay in eye-to-eye contact with people he was interviewing. Bob Fisher has been writing about documentary and narrative filmmaking for around 40 years with a main focus on cinematography.